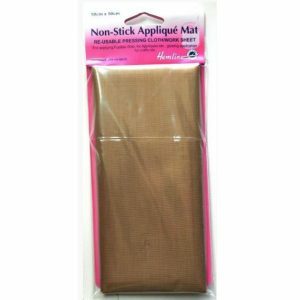 Quality re-usable Teflon pressing sheet for bonding fusible web to most fabrics. 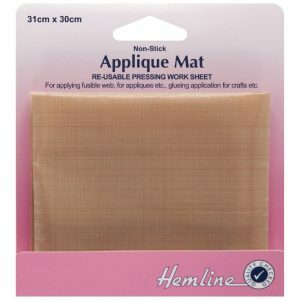 Ideal for applique and craft. Place mat between iron and fusible web to avoid sticking. 1 sheet: 50 x 50cm.